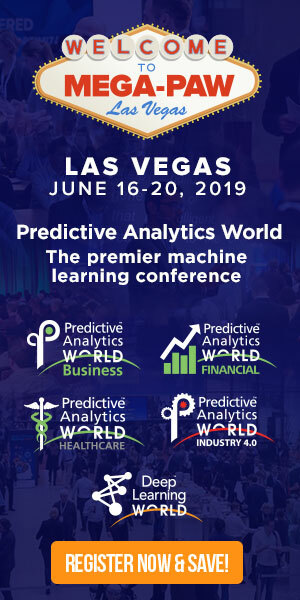 In anticipation of her upcoming conference presentation at Predictive Analytics World for Industry 4.0 Las Vegas, June 16-20, 2019, we asked Jaya Mathew, Senior Data Scientist at Microsoft, a few questions about their deployment of predictive analytics. Catch a glimpse of her presentation, Building Blocks of a Predictive Maintenance Model, and see what’s in store at the PAW Industry 4.0 conference in Las Vegas. Q: What are the challenges in translating the lessons of predictive analytics from other verticals into manufacturing? A: The biggest challenge is due to the nature of the data that was historically or is currently being collected in most manufacturing facilities. Manufacturing facilities are now adding sensors to better monitor their production lines. A: The goal in most predictive analytics models is to be able to determine when a particular piece of machinery is likely to fail in the near future. Once we are able to predict a failure, in some cases it is also helpful if we are able to predict the exact reason for that failure. A: In most predictive models as stated the aim is to predict the likelihood of a failure in the near future. With this information the business unit can proactively plan ahead, order the necessary replacement parts and staff the necessary personnel needed to do the maintenance of the equipment ahead of the failure. This reduces downtime of equipment which will prevent a loss of revenue and increase throughput for the business. Q: Can you describe a successful result, such as the predictive lift (or accuracy) of your model or the ROI of an analytics initiative? A: In most cases, the business metric for success is either Precision, Recall or F1 score of the predictive model. Then a cost matrix is often built to determine the ROI for the initiative. A: Often we encounter that the labeling of the failures is totally incorrect. Q: Sneak preview: Please tell us a take-away that you will provide during your talk at Predictive Analytics World for Industry 4.0. A: In my talk, the audience will learn the basics of why predictive maintenance is useful to the business, typical approaches to building a model and a brief overview of some use cases of predictive maintenance. 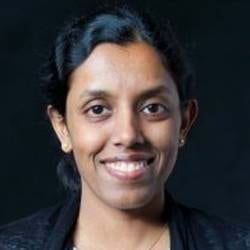 Don’t miss Jaya’s presentation, Building Blocks of a Predictive Maintenance Model, at PAW Industry 4.0 on Tuesday, June 18, 2019 from 11:20 to 12:05 AM. Click here to register for attendance.